CAMAC Energy Inc. ("CAMAC" or the "Company") (NYSE MKT: CAK) is making a strategic move that paints a confident, optimistic and rosy outlook. The creation of additional 1.4348 shares of common stock held by shareholders and recent concluded oil deals I n West Africa’s Oyo Field in OML 120 offshore Nigeria, Gambia and Kenya shows a company that is confident in the world of deal makings and strategic moves. Camac Energy states that, "Additionally, CAMAC previously declared a special one-time stock dividend (the "Stock Dividend") of 1.4348 shares per share of outstanding common stock payable on February 21, 2014 to all stockholders of record at the close of business on February 13, 2014. The Company expects its common stock to begin trading on the New York Stock Exchange (NYSE MKT: CAK), and the Johannesburg Stock Exchange (JSE:CME), at the dividend-adjusted price on February 24, 2014, which is also the "ex-dividend" date. Accordingly, stockholders who sell their shares of CAMAC common stock prior to February 24, 2014 are also selling their right to the Stock Dividend with respect to the shares of CAMAC common stock sold. Stockholders contemplating a transaction in CAMAC common stock between the record date and the payment date should consult a financial advisor regarding their entitlement to the StockDividend." The development will bolster the confidence of shareholders and will even attract frontier investors that are willing to put their resources in a well run company with a reasonable return of dividend. It becomes a solid stepping stone for Camac Energy to change the minds of money managers and portfolio analysts that have not taken a second look at the company's performance and endeavor lately. This long term contract shows an optimistic and bright future that frontier and emerging investors find attractive and willing to become long term investors and shareholders. The leadership by the Dr. Kase Lawal, Chairman and Chief Executive Officer is a strategic asset to the company. Dr Lawal superb public relation, prudence and first class hands-on style shows that the company management is good hands. "We are pleased to have executed the rig contract with Northern Offshore, which builds on our relationship, and ensures a highly capable and efficient rig to execute on our transformational development and exploration program in 2014 and beyond," Dr. Lawal commented and this is a testament that he oversee the process and procedure of the contract and that will in turn enhanced the confidence of shareholders and investors in the company. As the company announced that the “Board of Directors approved a stock dividend on shares of its common stock. Stockholders of record at the close of business on February 13, 2014 will receive 1.4348 additional shares of common stock for each share of common stock held. The stock dividend will be payable on or about February 21, 2014, subject to the below conditions, and cash will be paid in lieu of issuing fractional shares. The Company expects its common stock to begin trading at a post dividend-adjusted basis on February 24, 2014.” This is a splendid move and such development makes a company to be seen as a fruitful and profitable place for growth and development. In Kenya Camac Energy operated in Mandera and offshore Lamu respectively with two blocks each, and " successfully carried out Aero-magnetic and Gravity survey of our onshore blocks L1B and L16 in Kenya last year and we plan to carry out 2D seismic surveys on our two offshore deep water L27 and L28 blocks in 2014. We also plan to shoot some 2D seismic surveys on our two onshore blocks this year,” as Kase Lawal reassured in a statement. With a steady hand, experienced ability and managerial acumen rendered by Kase Lawal, Chairman and Chief Executive Officer of Camac Energy; It becomes imperative t that he should also be in the vanguard of spreading the latest development of the company in the global media by appearing more on business news channels and news prints. (d) to approve an amendment to the Company's 2009 Equity Incentive Plan to increase the number of shares of common stock available for issuance under the plan. The special meeting is scheduled to be held on Thursday, February 13, 2014 at 9 a.m. Central Time, at 1330 Post Oak Blvd., 2(nd) Floor Conference Center, Gulf Coast Room, Houston, TX 77056. CAMAC has filed the definitive proxy statement with the Securities and Exchange Commission (SEC), and it is being mailed to stockholders of record as of the close of business on January 3, 2014. In the definitive proxy statement, CAMAC's Board of Directors recommends a vote "FOR" each of the proposals. TO ASSURE REPRESENTATION AT THE SPECIAL MEETING, CAMAC URGES ALL STOCKHOLDERS TO PROMPTLY REVIEW THE DEFINITIVE PROXY STATEMENT, AND RETURN A PROXY EITHER BY TRANSMITTING YOUR VOTE OVER THE INTERNET AT WWW.CSTPROXYVOTE.COM, BY CALLING 1-866-894-0537, OR BY COMPLETING AND RETURNING A PROXY CARD BY MAIL. CAMAC Energy is an independent oil and gas exploration and production company focused on energy resources in Africa. Its asset portfolio consists of 8 licenses in 3 countries covering an area of 41,000 square kilometers, including production and other projects offshore Nigeria, as well as exploration licenses offshore and onshore Kenya, and offshore Gambia. CAMAC Energy is headquartered in Houston, Texas. For more information, visit www.camacenergy.com. This press release contains "forward-looking statements" within the meaning of Section 27A of the Securities Act of 1933 and Section 21E of the Securities Exchange Act of 1934. All statements, other than statements of historical fact, concerning activities, events or developments that the Company expects, believes or anticipates will or may occur in the future are forward-looking statements. Although the Company believes the expectations reflected in these forward-looking statements are reasonable, they involve assumptions, risks and uncertainties, and these expectations may prove to be incorrect. The Company's actual results could differ materially from those anticipated in these forward-looking statements due to a variety of factors, including the Company's ability to successfully drill, complete, test and produce the wells and prospects identified in this release, the securing of necessary regulatory and stockholder approvals and fulfillment of conditions for completion of the transactions described in this release and risk factors discussed in the Company's periodic reports filed with the SEC. All forward-looking statements are expressly qualified in their entirety by this cautionary statement. You should not place undue reliance on forward-looking statements, which speak only as of their respective dates. The Company undertakes no duty to update these forward-looking statements. In connection with the proposed transactions, the Company has filed with the SEC and is furnishing to the Company's stockholders a definitive proxy statement and other relevant documents. This press release does not constitute a solicitation of any vote or approval. Stockholders are urged to read the definitive proxy statement when it becomes available and any other documents to be filed with the SEC in connection with the proposed transactions or incorporated by reference in the definitive proxy statement because they will contain important information about the proposed transactions. The directors, executive officers and certain other members of management and employees of the Company may be deemed "participants" in the solicitation of proxies from stockholders of the Company in favor of the proposed transactions. Information regarding the persons who may, under the rules of the SEC, be considered participants in the solicitation of the stockholders of the Company in connection with the proposed transactions is set forth in the proxy statement and the other relevant documents to be filed with the SEC. You can find information about the Company's executive officers and directors in its Annual Report on Form 10-K for the fiscal year ended December 31, 2012, in its definitive proxy statement for its annual stockholder meeting filed with the SEC on Schedule 14A on April 18, 2013 and in the materials filed with the SEC in connection with the proposed transactions. The common stock being sold by CAMAC Energy Inc. will not be registered under the Securities Act of 1933, or any state securities laws and may not be offered or sold in the United States absent registration or an applicable exemption from the registration requirements of the Securities Act and applicable state laws. The Afripol was not involved in the creation of this content. CAMAC Energy Inc. (NYSE MKT: CAK), a United States publicly traded Energy Company that primarily engaged and focused on strategic development of oil projects by singular and multilateral operations principally in Africa. The market capitalization of CAMAC Energy Inc is $104.46 million. As reported by eStock daily, CAMAC Energy current ratio stood at 0.68, "while its shares were looking forward SMA50 with 9.19. The company offered earnings per share of -0.05 while its 155.91 million shares were outstanding. YTD performance of the stock was 13.56%." For its fiscal last-quarter which ended in December 31, 2012; CAMAC Energy reported a net loss of $2.9 million or $0.02 a share, compared to previous net loss of $1.7 million, or $0.01 a share of same quarter in 2011. CAMAC Energy reported a net loss of $6.1 million, or $0.04 per share for the fiscal year of 2012 that ended in December 31, in comparison to net loss of $24.9 million or $0.16 per share of 2011 fiscal year that ended in December 31. With the totality of net loss, It may be little fuzzy to see the light at the end of tunnel. But the bleeding may be drying up and confidence building on the Camac energy stocks maybe ramping up with the improvement in the net loss when compared that of 2011 and 2012. And it was highlighted that the " net loss for the year 2012 was primarily due to lower workover costs related to well #5 in Oyo Field." Dr. Kase Lawal, Chairman and Chief Executive Officer said "During 2012, the Company acquired six promising exploration blocks in Gambia and Kenya, assumed technical operatorship of its Nigerian blocks OML 120 and 121, divested its China asset, and worked alongside its partner Allied Energy Plc. ("Allied") to engage contractors for the drilling of Oyo well #7. As a result of these achievements, CAMAC Energy is currently poised to create significant value for shareholders over the next twelve months by increasing gross production from Oyo, exploring the deeper Miocene in OML 120 and 121, and conducting critical pre-drilling work in Kenya and the Gambia. We expect these activities, along with our ongoing business development program, to improve the cash flow, asset value, and market profile of the Company for the benefit of all our stakeholders." Camac Energy’s future of oil exploration in Africa has an ample outlook particularly in Oyo Field. At this particular Oyo Field, Camac Energy emphasized that" In the fourth quarter of 2012, there was one oil lifting from Oyo Field of approximately 251,000 barrels compared to one lifting of approximately 400,000 barrels of oil for the same period in 2011." This has proven that previous net loss of 2011 and 2012 respectively can be improved with the “estimated net proved reserves at the end of 2012 were approximately 3.1 million barrels of oil, as compared to approximately 2.7 million barrels of oil at December 31, 2011. The Oyo Field accounted for 100% of the proved reserves." Camac Enery has strong financial backing to fulfill its obligations especially in investing in the technical and scientific know-how needed for the further oil exploration in the oil fields of Kenya and Gambia. Together with its efficient managers and technicians, Camac Enegy has a strong and bright future. HOUSTON, April 15, 2013 /PRNewswire/ -- CAMAC Energy Inc. (NYSE MKT: CAK) ("the Company") today announced that Earl W. McNiel, Chief Financial Officer, will present at IPAA's 19th Annual OGIS New York in New York on Tuesday, April 16, 2013 at 9:35 a.m Eastern time (8:35 a.m. Central time). Investors may access the presentation materials via the Investor section of the Company's website at www.camacenergy.com. CAMAC Energy Inc. (NYSE MKT: CAK) is a U.S.-based energy company engaged in the exploration, development and production of oil and gas. The Company's principal assets include rights to interests in OML 120 and OML 121, offshore oil and gas leases in deep water Nigeria which include the currently producing Oyo Oilfield, and six recently acquired exploration blocks in Kenya and Gambia. The Company is currently pursuing further additions to its exploration portfolio in East and West Africa. The Company was founded in 2005 and has offices in Houston, Texas, Nairobi, Kenya, Banjul, Gambia and Lagos, Nigeria. This press release contains certain statements that may include "forward-looking statements" within the meaning of Section 27A of the Securities Act of 1933, as amended (the "Securities Act"), and Section 21E of the Securities Exchange Act of 1934, as amended. All statements, other than statements of historical fact, are "forward-looking statements," including statements regarding the Company's proposed transactions, business strategy, plans and objectives and statements of non-historical information. These forward-looking statements are often identified by the use of forward-looking terminology such as "will," "should," "believes," "expects," "anticipates" or similar expressions, and involve known and unknown risks and uncertainties. Although the Company believes that the expectations reflected in these forward-looking statements are reasonable, they involve assumptions, risks and uncertainties, and these expectations may prove to be incorrect. You should not place undue reliance on these forward-looking statements, which speak only as of their respective dates. Risks and uncertainties regarding the transactions described herein include the possibility that the schedule for drilling may be delayed due to unavailability or delays in procurement of necessary equipment and materials. In addition, the Company's actual results could differ materially from those anticipated in these forward-looking statements as a result of a variety of other factors including those discussed in the Company's periodic reports that are filed with and available from the Securities and Exchange Commission ("SEC"). All forward-looking statements attributable to the Company or persons acting on its behalf are expressly qualified in their entirety by these factors. Other than as required under the securities laws, the Company does not assume a duty to update these forward-looking statements. CAMAC Energy Inc. (NYSE Amex CAK ), a US publicly traded Energy Company that primarily engaged and focused on strategic development of oil projects by singular and multilateral operations. The market capitalization of the formerly Pacific Asia Petroleum Inc is between (426.84 - 632.1) M. CAMAC Energy Inc announced that on December 10, 2010, CAMAC Energy finalized and executed a definitive Purchase and Continuation Agreement (the “Purchase Agreement”) with Allied Energy Plc and certain of its affiliates (“Allied”) to acquire all of Allied’s remaining interest in a Production Sharing Contract (the “PSC”) which relates to Oil Mining Leases 120 and 121 (“OML 120” and “OML 121”) granted to Allied by the Federal Republic of Nigeria (the “Non-Oyo Contract Rights”). Speaking on the development, Byron Dunn, CAMAC Energy’s President and Chief Executive Officer, said: “We look forward to again receiving NAE’s consent and closing this transaction, just as NAE approved the closing of our Oyo Field acquisition transaction in April 2010. This is transformational for CAMAC Energy and we are very excited about the potential value this acquisition could unlock across OML 120 and 121. We now have the opportunity to plan block development holistically, and to structure wells that not only effectively drain the existing Oyo Field producing horizons, but test deeper horizons in imaged Miocene reservoirs that underlay Oyo’s currently producing field.” Byron has for a while replaced Frank C. Ingriselli the former CEO of CAMAC Energy. "The OML 120 block is located directly east of OML 133, which contains the giant 500 million barrel Erha Field, and north of OML 121, where in the southeast corner of the block Allied has detected signs of potential gas resources in preliminary drilling results. OML 120 covers an area of 916.6 sq km in water depths ranging from 150 to 1000 meters, and contains the Oyo Field. The OML 121 block covers an area of 887 sq km in water depths ranging from 150 to 1000 meters and is located directly south of OML 120. Based upon internal mapping and 3D seismic studies, nine new prospects have been identified by Allied within the OML 120/121 blocks. Based on available information, CAMAC Energy believes the OML 120/121 blocks, including these nine prospects, may potentially hold over 500 million barrels of recoverable oil resources." 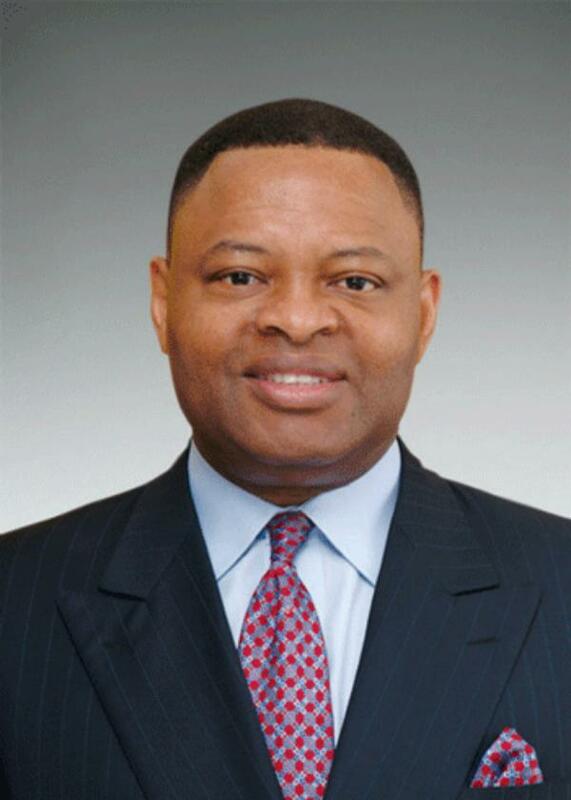 Dr. Kase Lawal is the Chairman of Camac Energy Inc.
CAMAC Energy Inc. (NYSE Amex: CAK) is a U.S.-based energy company engaged in the exploration, development and production of oil and gas. CAMAC Energy focuses on early cash flow and high-return global energy projects and currently has operations in Nigeria and, through its Pacific Asia Petroleum subsidiaries, in China. CAMAC Energy's principal assets include interests in the Oyo Field, an offshore oil asset in deepwater Nigeria that started production in December 2009, a 100% interest in the Zijinshan Gas Block asset located in the Shanxi Province, China, and the Enhanced Oil Recovery and Production business in Northern China. CAMAC Energy has offices in Hartsdale, New York, Houston, Texas, Beijing, China, and Lagos, Nigeria. CAMAC Energy Inc. (NYSE Amex CAK 3.97, -0.18, -4.31%) US publicly traded Energy Company that primarily engaged and focused on strategic development of oil projects by singular and multilateral operations. The market capitalization of the formerly Pacific Asia Petroleum Inc is about 632.1 M and the stocks have been hovering slightly below or above $ 4.00 momentarily. With the market prospect of Camac Energy Inc, the stocks are highly recommendable for a diversified portfolio especially at this time in the global economy and the stocks are likely to appreciate in near future. The stocks which traded without much exposure at OTC bulletin board as Pacific Asia Petroleum is now a listed company at AMEX and NYSE as Camac Energy Inc after acquiring principal assets in the Oyo Oilfield. With its superior management team and implementable strategies it can grow to become a mid cap or even a large cap energy company at a faster pace. Superior management as an invaluable human capital can be an antidote to mistakes and bulwark to unforeseen circumstances and risk management. Camac Energy Inc has opportunities for advancement and growth because of its holdings particularly in West Africa and China oil fields. Moreover the management has high quality individuals who have been in oil business for long time with enviable experience. The human capital can be leverage for advancing the energy company. The beginning of standard & Poor’s Factual Stock Report coverage comes with a credit rating that will enhance accountability and transparency, thus affirming optimum confidence in the company. In Nigeria, Camac energy’s " principal assets include the Oyo Oilfield, an offshore oil asset in deepwater Nigeria that started production in December 2009; the Zijinshan Gas Asset, a 100%-owned gas asset in the Shanxi Province, China; and the Enhanced Oil Recovery and Production business in Northern China." With its footing in west Africa, Camac Energy Inc may not only have to rely only its operation in Oyo Oilfield but it can also bid for oil exploration licenses in Nigerian deep waters and off shore. In Nigeria the risk of political tension and disturbances in Niger Delta is slowing down and it can minimize the political risk by bidding for off shore drilling. In China, Camac Energy with its subsidiaries can explore more oil fields in negotiated partnership with the authorities of provinces in the country. The quantum development of Energy Company entails high intensive capital and lot of patience and prudence. This is where the experience and management acumen of quality individuals including the company’s President and CEO, Frank C. Ingriselli and Dr. kase lawal, a board member of the company, The chairman and Founder of Camac International Corporation comes handy. kase Lawal, Chairman of Camac Energy Inc has a strategic experience in global oil business, his dealings and undertakings in the world of oil deals can help propel Camac Energy Inc to greater heights. The management skill of the CEO Frank C. Ingriselli has been noted and enhanced since his touch of guidance he gave to the formerly Pacific Asia Inc until it became Camac Energy Inc and his invaluable experience as the former president of Texaco international. Lawal and Ingriselli intellectual synergy is a solid foundation. Dr. Kase Lawal has a good and solid track record in company development and management. He has not been exempted from risks and mistakes associated in the business world but he has a sustainable quality that aided him to triumph over hiccups. He is the Founder/chairman and chief executive officer of CAMAC International Corporation and chairman of Allied Energy Corporation. The managerial prudence, business touch and guidance he utilized as he continued to develop his CAMAC Holdings can become a great asset to Camac Energy Inc. Kase Lawal as board member of Camac Energy Inc may not manage the daily business activities of Camac Energy Inc but his strategic input from his long accumulated experience can become an essential building block to the company. Camac Energy Inc needs middle managers who are willing to work hard and provides the strategic compass for the company’s growth. These managers must be willing to take calculative risks and willing to feel the pulse of the shareholders. Reorganization enable a company to adapt to dynamics of the market place and able to compete effectively in the high energy of oil exploration and development. Camac Energy Inc has good people in management including the recently new CFO Abiola Lawal, an erudite and intelligent manager. Mr. Abiola Lawal has been among the pillars of Oando Plc from where he came to joined Camac Energy, his strategic endeavors at Oando Plc speaks volume of his vision and skill. He brings the strategic depth to bear to the new position. Camac Energy Inc is poise for growth and advancement but it must be prepare and ready for the challenges and opportunities in this competitive arena of oil’s exploration and production. Afripol Organization. Africa Political and Economic Strategic Center (Afripol) is foremost a public policy center whose fundamental objective is to broaden the parameters of public policy debates in Africa. To advocate, promote and encourage free enterprise, democracy, sustainable green environment, human rights, conflict resolutions, transparency and probity in Africa.